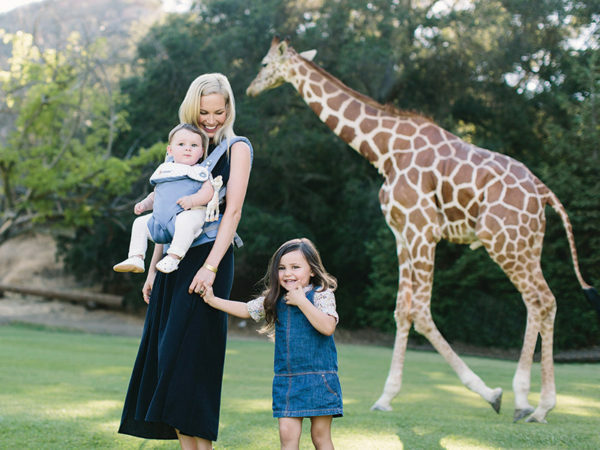 Ergobaby and Sophie la Girafe join forces, create prettiest baby carriers! Two family favourites, Ergobaby and Sophie la Girafe, have joined creative forces in producing two limited edition carriers inspired by the world’s most famous – and most loved – giraffe toy. Click on through to see more of these pretty baby carriers! A global icon for more than 50 years, the Parisian charm of Sophie la Girafe is captured perfectly in both the Ergobaby Three Position Adapt Carrier and the Ergobaby Four Position 360 Carrier. Ergobaby Festival Carriers sport a beautiful periwinkle toned canvas, embroidered with the classic Sophie, as well as boasting a gorgeous bunting flag print lining. 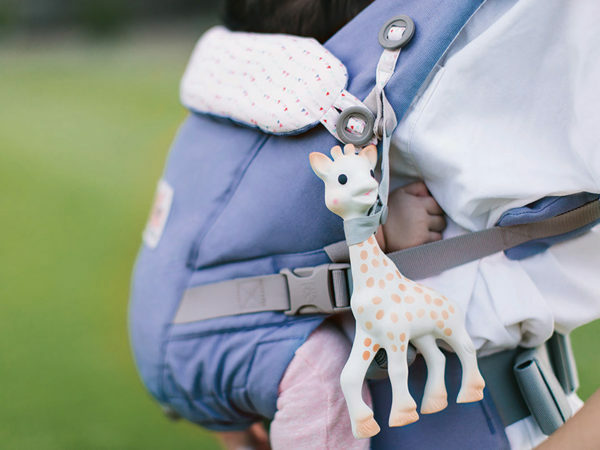 To top off the fun design, each carrier includes a detachable strap designed especially for toting your babe’s Sophie la Girafe toy. 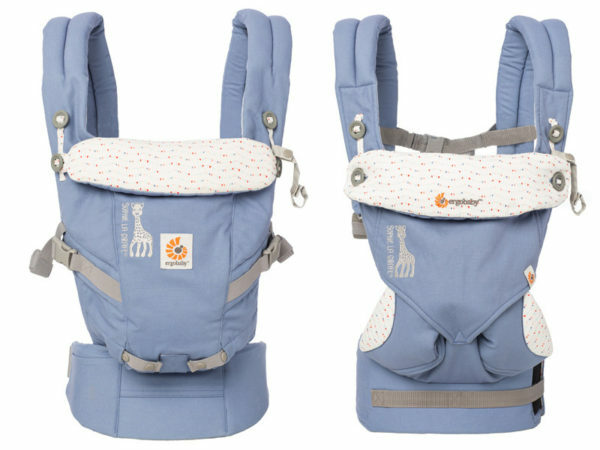 Limited Editions Sophie Three Position Adapt Carrier, $229 and Sophie Four Position 360 Carrier, $249, are available at Babes In Arms and select Ergobaby retailers.